Top performance, constant ingenuity throughout decades, innovative problem-solving as well as a rich heritage are the core elements that define a trusted family-owned company like Kärcher. 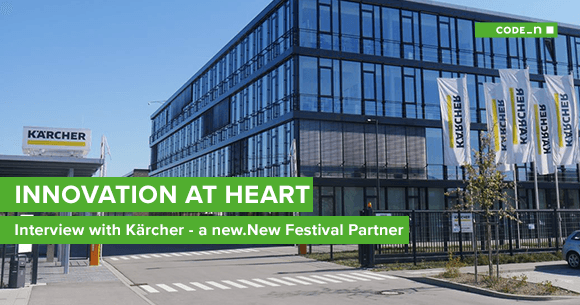 Delighted to count on them as a new.New Festival 2018 partner, we recently paid a visit to their headquarters in Winnenden, near Stuttgart, where we sat down with Simon Blaschke (Head of Innovation & Technology Management), Dr Daniel Heubach (VP Digital Transition) and Florian Weber (Head of Kärcher New Venture) to discuss about how a world-wide known brand encourages passion and creativity to meet its customers’ needs while promoting innovation and an entrepreneurial spirit inside the company – it’s what got them where they are in the first place. Iulia: Innovation seems to be a key success factor for Kärcher, which is an international market leader in the field of cleaning equipment. How do you keep the spirit of innovation alive in an established company with such a long tradition? 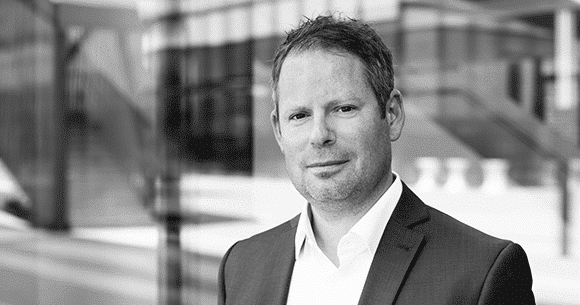 Simon Blaschke (Head of Innovation & Technology Management): Innovation is at the heart of the Kärcher business. Our company was founded in 1935 by Alfred Kärcher and right from the start, it’s been characterized by innovative thinking and an entrepreneurial spirit. Most of the time, we have so many ideas that we have to filter them and pick out the opportunities that will best benefit our customers. Developing new products and lately, new business models are important elements of our innovation strategy. Daniel Heubach (VP Digital Transition): All our departments have the same goal: staying innovative. The question we ask ourselves is: “Do we have the right structure in place?”, or “Do we have the right talent on board?” We’re truly committed to nurturing for this spirit of innovation within the company. That’s why we recently set up our own IT consultancy, Zoi TechCon, which focuses on developing digital solutions, cloud transformation, and electrical engineering – in collaboration with Kärcher and for other companies. In my opinion innovation is also about viewing potential problems as a challenge. Kärcher and Zoi have put agile processes and lean approaches into practice. These will enable us to launch innovations on the market much faster. We also ask ourselves continuously, “Where should we change things and where should we stick to the traditional way of doing business? 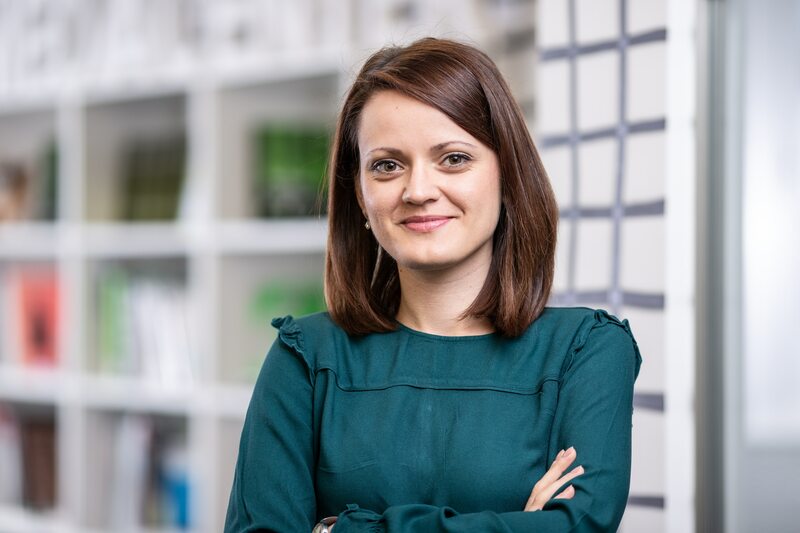 Iulia: Could you possibly give us some of the specific factors that help establish long-lasting innovation inside the company? Simon: Design thinking is certainly one of the most important systematic moves towards fostering innovation. Design thinking methods have been at the heart of Kärcher’s product development for more than fifteen years and they’re now used throughout the whole organization. We always focus on customer pain points and needs, and we have some 50 to 60 new projects every year. Our fully autonomous scrubber drier robot “KIRA” for example identifies people and obstacles and reacts reliably by stopping, or passing around them. Using mobile data transmission, GPS tracking and Kärcher Fleet, it offers full transparency with a seamless connection, detailed analysis data and current notifications, which are sent via text message to your mobile phone. Another example of a new product at Kärcher is the floor cleaner FC 5 which is a new category of its own. You can mop easily without the hassle of vacuuming beforehand. Thanks to the handy two-in-one function, wet and dry dirt can be mopped and suctioned in a single step. We also use open innovation, so we set challenges to our internal employees and external startups to work on new products. At the same time, we’re open to exploring new business fields. This means going beyond our traditional business models. To this end, we have a department dedicated to startup scouting and networking. 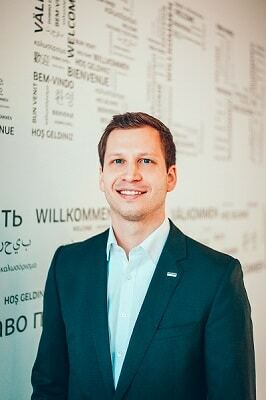 Florian Weber (Head of Kärcher New Venture): It takes great effort to bring innovation to life, so we have experts for all modern innovation methods to coach our development teams and we strongly cooperate with and invest in external partners and of course also young innovative companies like startups. One example of startups we are currently working with is “Mitte” that is building a system that turns plain tap water into mineralized water at home. Mitte is inspired by nature; its mineral cartridges replicate the process taking place in nature to create personalized clean water. Another example of Kärcher’s startup investments is the online tool shop Contorion, which has significantly speeded up the digitization of the market for special tools. Already in the middle of last year, Contorion had a successful exit. 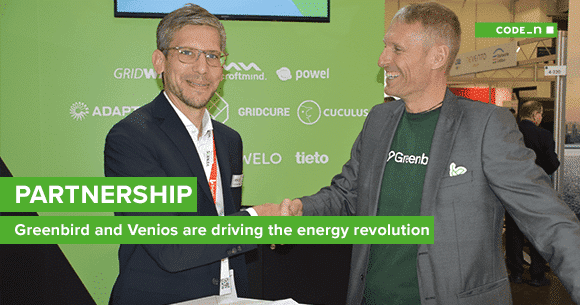 In addition, there are many project partners and cooperations between startups and Kärcher. 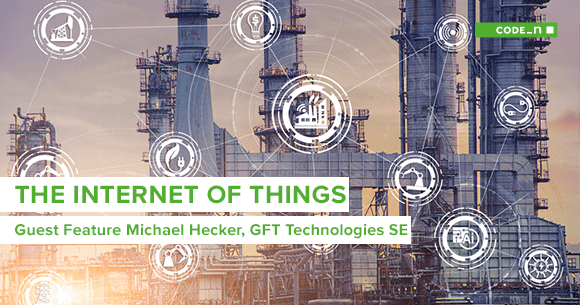 A large number of startups’ software is already in use at Kärcher, thus supporting the growing digitalization of the company. 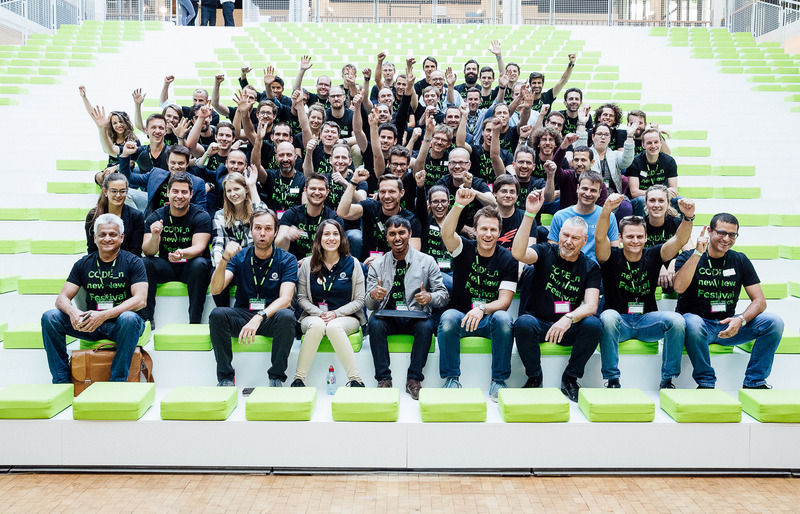 Here we should also mention our partnership with Munich-based UnternehmerTUM, which shows that we are actively networking and scouting with startup ecosystems around the world. Iulia: Do you see any differences with respect to innovation between a family-owned firm like Kärcher and a large public company? What benefit does tradition have in the new, digital world of business where a lot of people are starting from scratch? Simon: I think trust gives you a powerful advantage and it makes a family-owned business different because we take a long-term outlook and set goals that make clear, strategic thinking easier. On the other hand, Kärcher is synonymous with inventiveness and experimenting with new products, so simply resting on our laurels or relying only on what already proved successful in the past isn’t in our DNA. And we have a long tradition in encouraging our employees to bring their ideas to the table all the time. We’ve created an environment where they can shift aside and work on their own things and come up with new products. Florian: I’d like to add that we’re very close to management, which enables us to change workflow processes quite quickly, if needed, so decision-making is usually very fast. Iulia: Every business needs to change in order to survive, whether it’s through new products, new business models or new ways of doing things. How do you adopt new ideas at Kärcher? Can you take us through the process? Simon: We benefit from having a clear and systematic approach when it comes to building new business models. We regularly organize innovation challenges within the company to tap into our employees’ creativity all around the world. So this allows us to check out new ideas some of which might become reality. We have two incubators for digital solutions at Kärcher. One is based in Berlin and the other one is very close to our Winnenden headquarters in Schwaikheim. We call this our creativity space. We form teams of three people there and always try to choose team members we think will work together well. It takes a bit of planning and effort, not to mention all the coffee breaks to find the right fit [smiles]. We then monitor the team carefully and the ultimate goal is to set up a new or independent corporate startup. After no more than 6 months, the shortlisted teams pitch their ideas in front of the management board and they decide whether the business model should be transferred back to the core company or we should set up a completely new company. 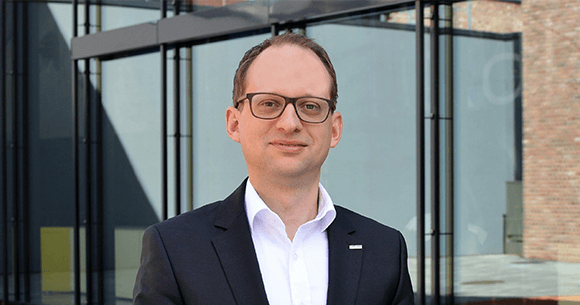 Florian: We now have around seven teams made up of Kärcher employees, from all around the world, and our target is to create one or two new companies every year. In addition to these internal innovation labs, the mission of Kärcher New Venture is to bring external innovation potential into the company. We connect ideas, people, business and capital from Kärcher to external, young and dynamic teams to explore new technologies and business models together as partners. There are lots of possibilities to work together in this area: from pilot projects to get a common proof of concept for new product ideas, to joint developments for products or usage in internal processes and even strategic investments for solutions that have the power to change our industry in the future. Iulia: To innovate effectively, businesses need the right talent. How do you attract new talents, digitally savvy experts, and innovators? Also, how do you keep your employees motivated as transformation keeps accelerating in the workplace? Daniel: We’ve planned our strategy in such a way that we want to be attractive as an employer to different types of people. For instance, at Zoi, which operates out of Berlin and Stuttgart, we are attractive for digital talents who want to work in a startup and who like to advise companies, get new projects and use leading edge technologies. Others want to work for an enterprise like Kärcher with a strong corporate culture and close to the business and corporate processes – but they can use new technologies as well; In general millennials are much more interested in flexibility at work, but also the chance to use the very latest technology. 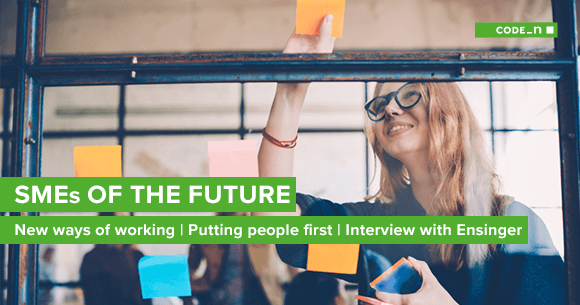 We believe that the workplace of the future will be all about creating a technological environment that not only enables new recruits to fulfil their potential through inspiring projects, but also gives them an opportunity to capitalize on the most modern technology. What technologies are of most interest to Kärcher right now? Florian: The hottest topics for us right now are robotics, the internet of things and the future of energy storage. Robots are an important achievement in automating processes such as cleaning while keeping a consistently high standard of performance. However, robots also help make the work simpler for humans and take their place in dangerous locations, such as cleaning in great heights. With our IoT based “Connected Cleaning” we are already leading the way for cleaning in the future. Our aim now is to develop smart new cleaning solutions for all purposes, from office buildings, hospitals and hotels to municipal cleaning. Wireless energy is key because it allows the flexible, location-independent use of our devices, which is a great enrichment for many applications. Moreover, as a cleaning technology expert, Kärcher actively looks for new methods or alternative ways of cleaning. In addition to the new technologies, one must not forget that new business models are also creating ground-breaking solutions. That is why partner ecosystems are becoming increasingly important for us. The new.New Festival is all about innovation and the impact of digital transformation on all industries. How would you describe your contribution to this year’s festival? In what areas do you see your company sharing knowledge and expertise? Can you give us a sneak peek and share the main highlights of your time at the festival? Simon: People who go to the new.New Festival will have a chance to dive into our disruptive technologies and discover the truly innovative side of Kärcher. The festival is a great opportunity for us to showcase many of our products to a public audience for the first time. Florian: Our most important goal is to meet the right people, to expand our tech and business network, and attract top experts and talents – but also meet up with visionary startups and entrepreneurs from Germany and abroad. We also can’t wait to see what’s happening in other industries and how other key players are driving innovation at their companies. Daniel: Being open is a very important part of our innovation strategy, so we’re really curious to hear about other people’s ideas and see how they apply to our own fields of interest. 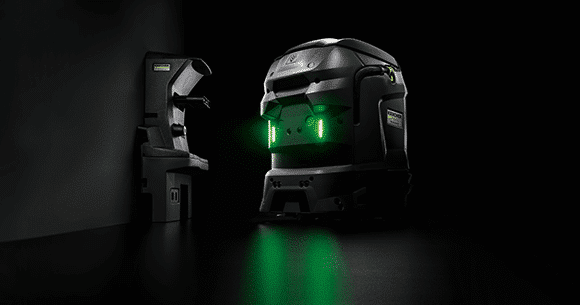 We’re also quite excited that we’ll be able to showcase our connected cleaning systems, which is only one proof of our ongoing digitalization processes. Simply drop by our booth for a close look and demonstration of real “Intelligence X.0”! For more information on Kärcher’s presence at this year’s new.New Festival, please check out our Innovators’ page. Get the full new.New experience thanks to our 3-day passes or visit the event with a single-day pass.